Allux Online Shop now open! Overall, construction fell by 1.2% for the quarter, but the report suggests that the state of the industry is not as bad as these figures indicate. A good read, see the link below. We have just updated our website to be more user friendly. We have divided the main tabs into three sections; Grouped Mailboxes, Single Mailboxes, and Other Products. We think this will provide a more targeted experience when using this website. Feel free to leave feedback about the new layout, or anything else. We have also added a LinkedIn icon for easy access to our LinkedIn Page. Follow us for company updates and useful and relevant information. You can now purchase our Allux range directly from our super-easy online shop. Go here to buy today! Our new range of contemporary mailboxes will now be available from December 10th. 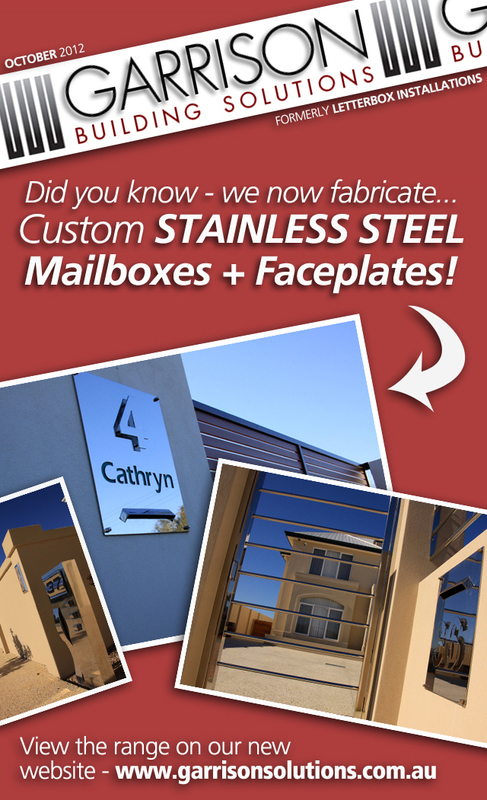 Contact us via email or give us a call on 1300 265 800 to view samples or request a quote today. More details and base pricing is currently available here. Our new range will feature powdercoated, stainless steel, and copper finishes. Our new site is live! Take a look around using the menu bar above to easily navigate to the area you need. We have also added a Request Quote form to allow you to easily submit requests.